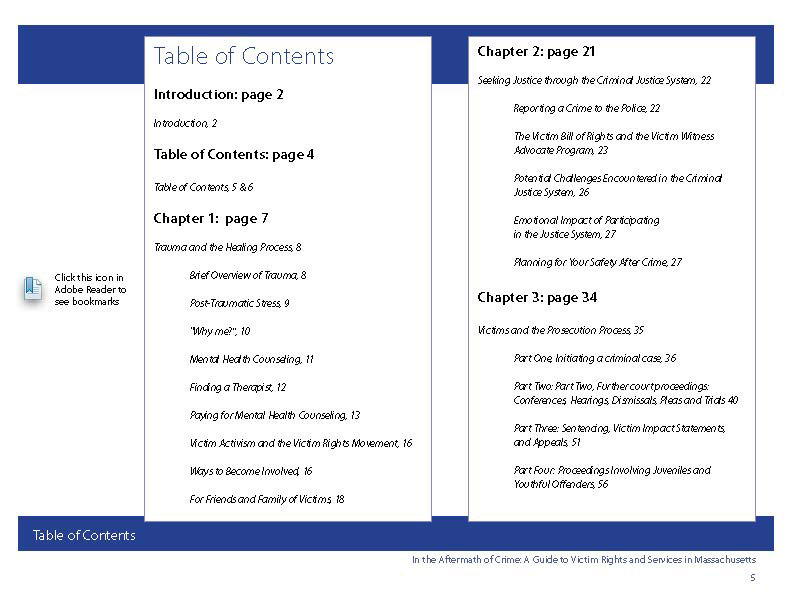 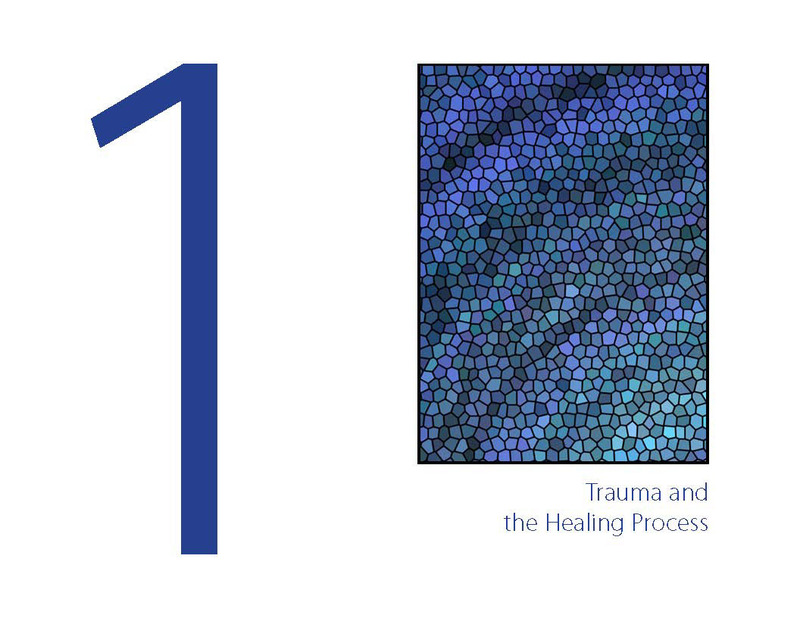 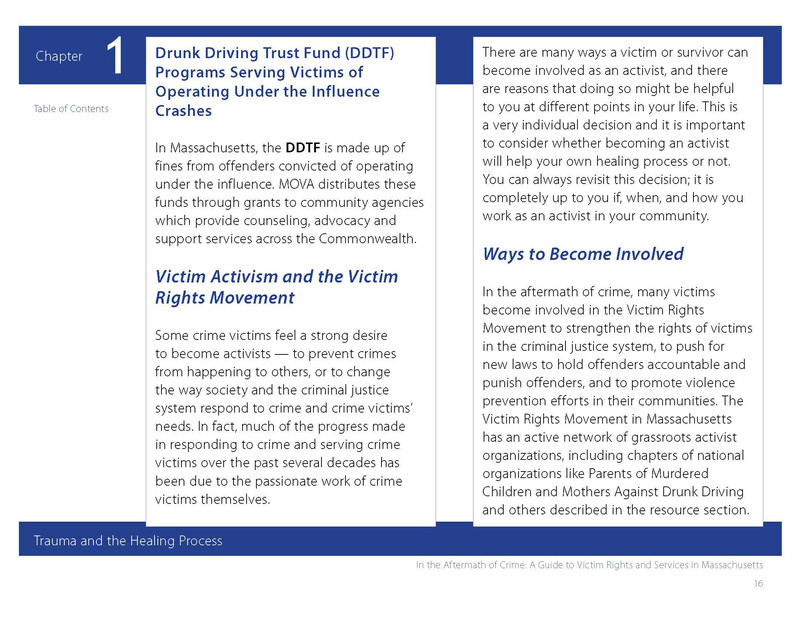 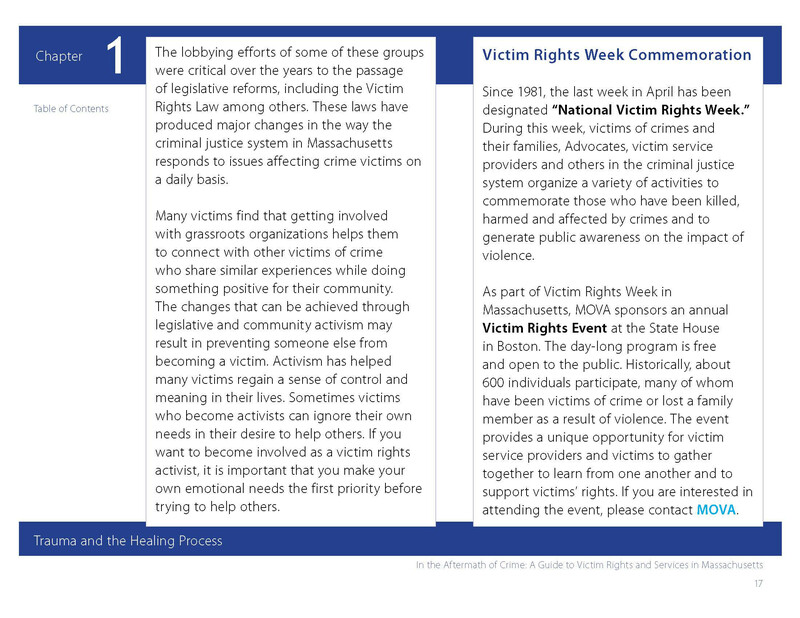 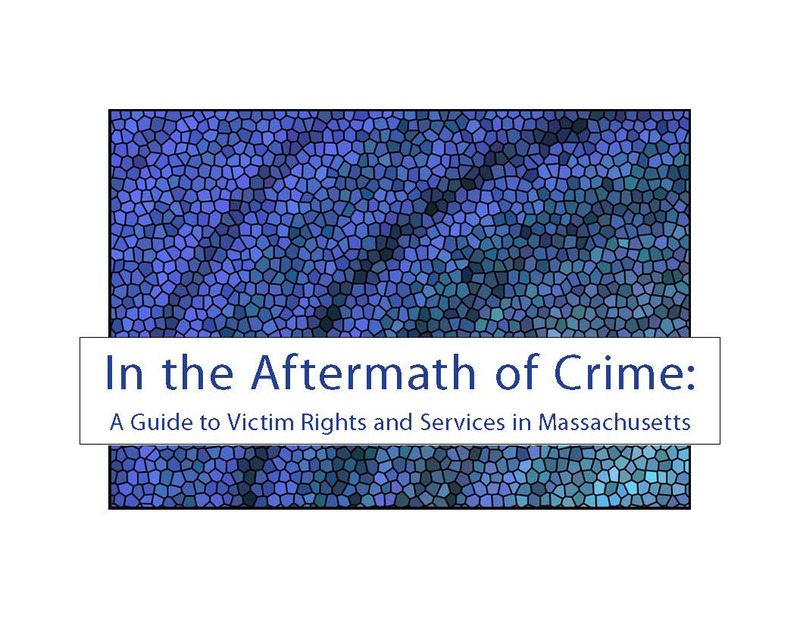 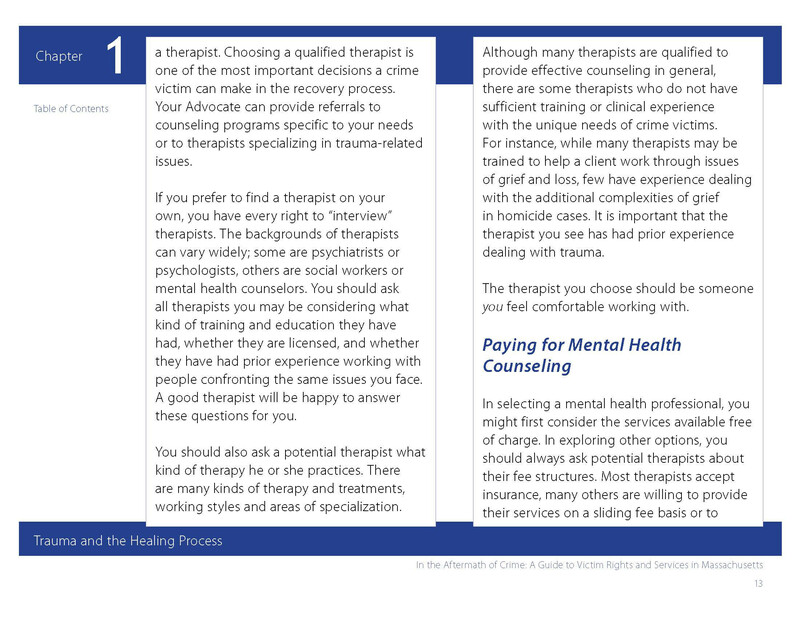 This is an interactive PDF that is called "In the Aftermath of Crime: A Guide to Victim Rights and Services in Massachusetts." 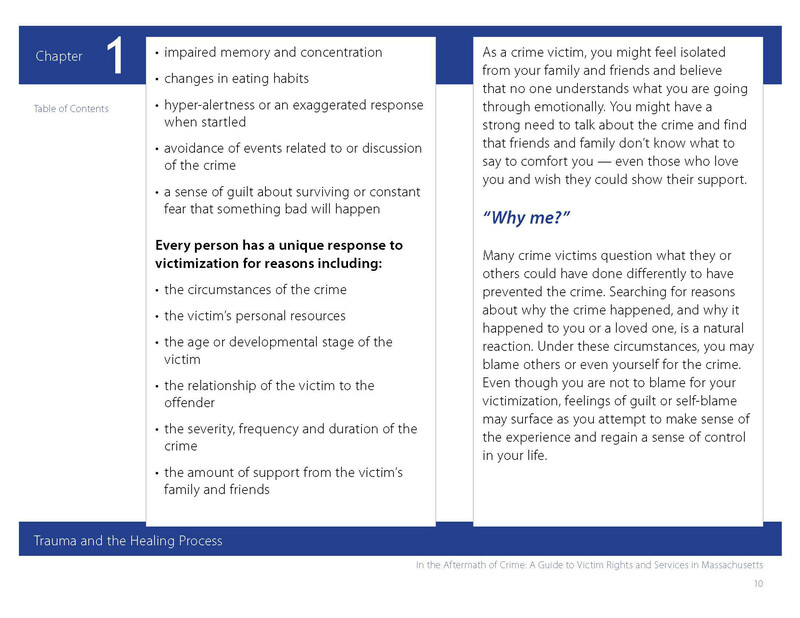 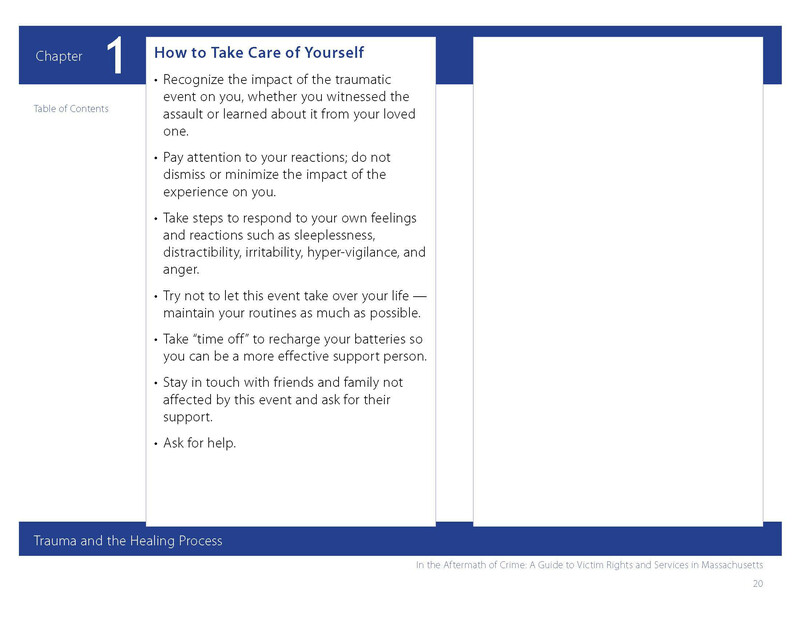 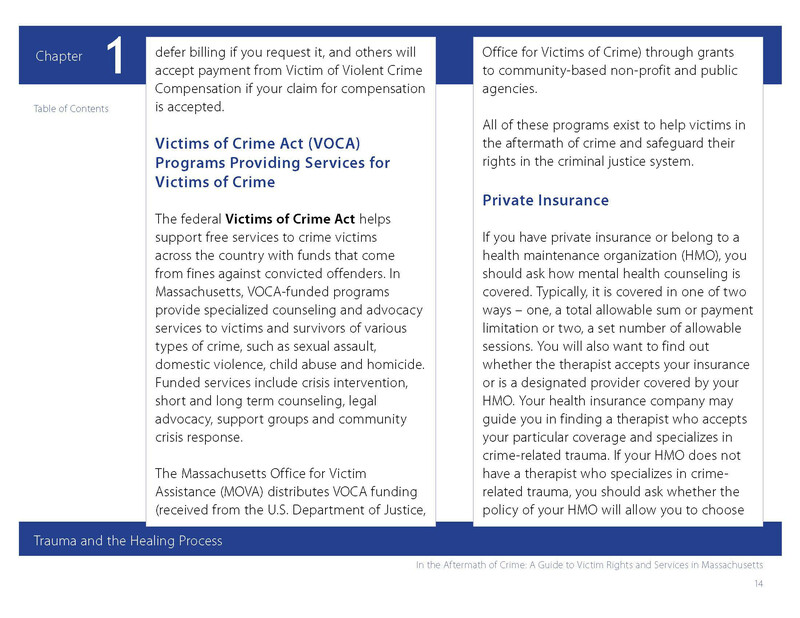 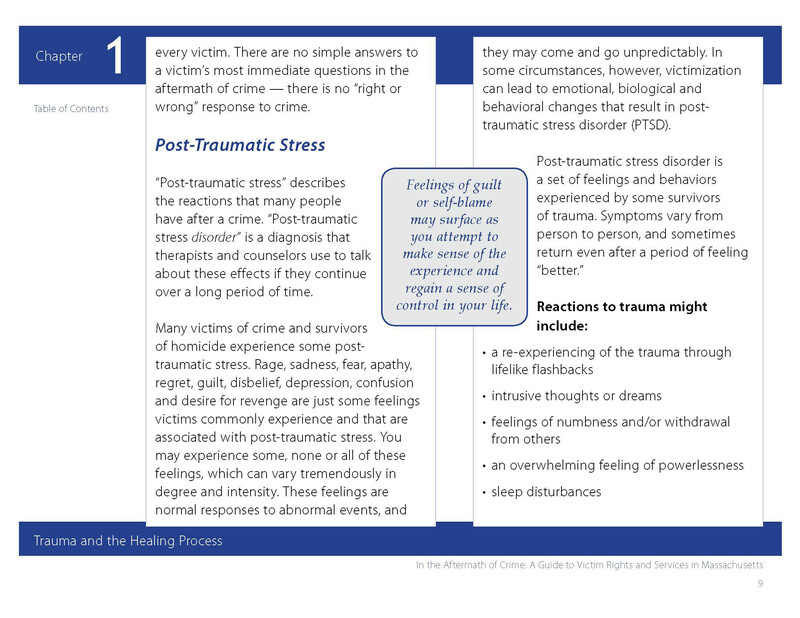 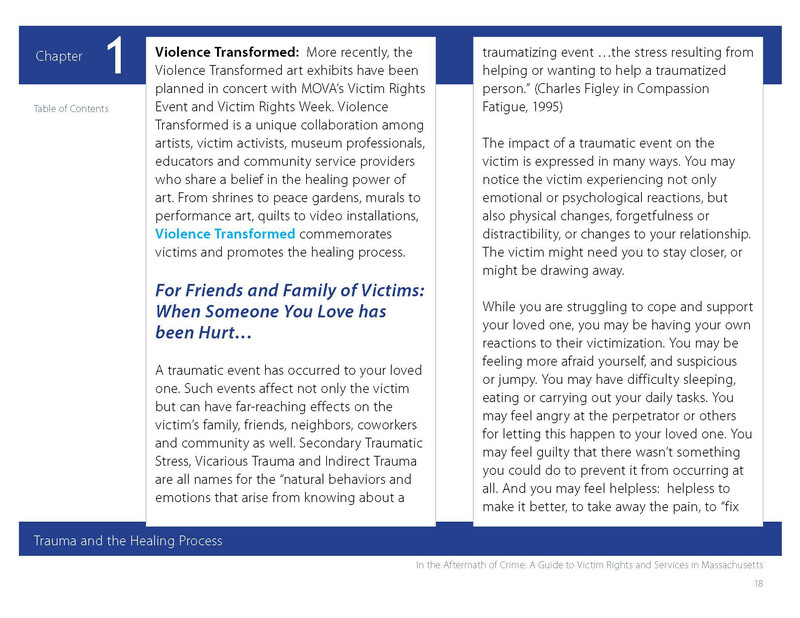 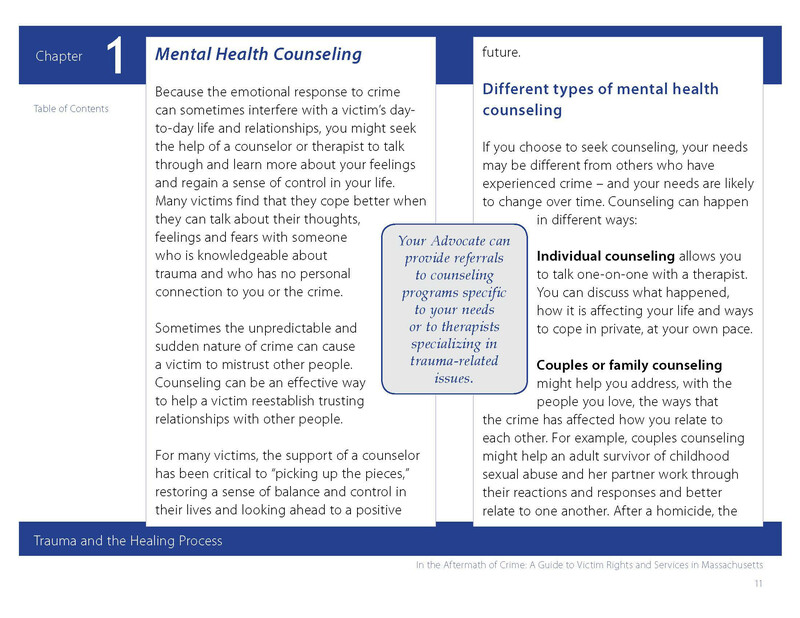 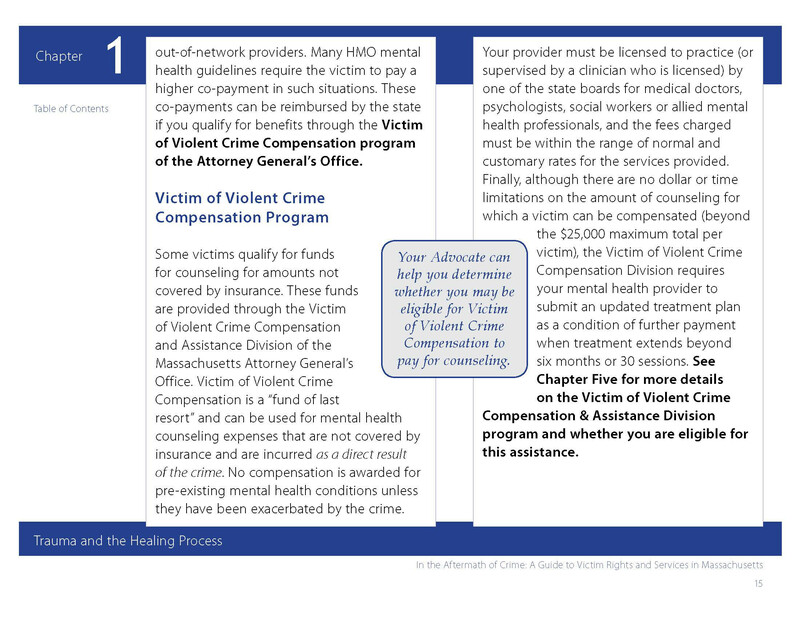 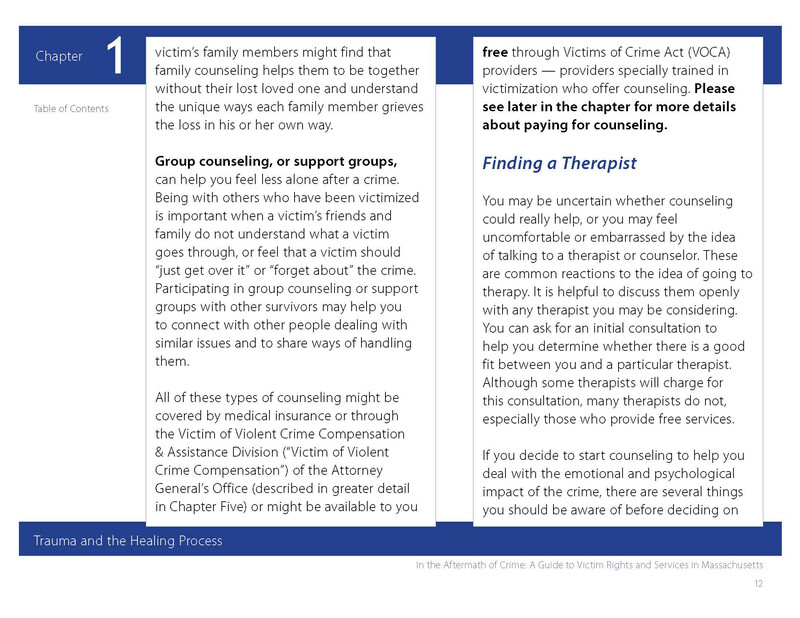 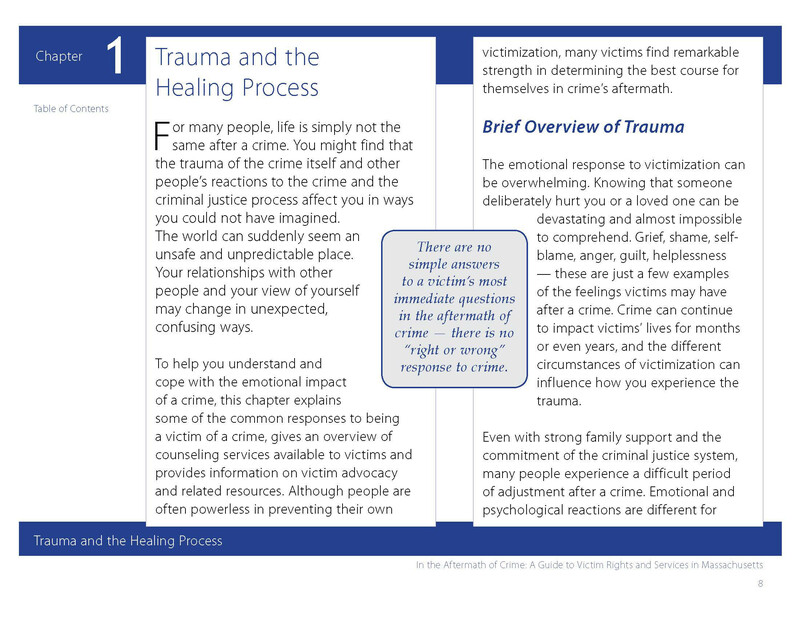 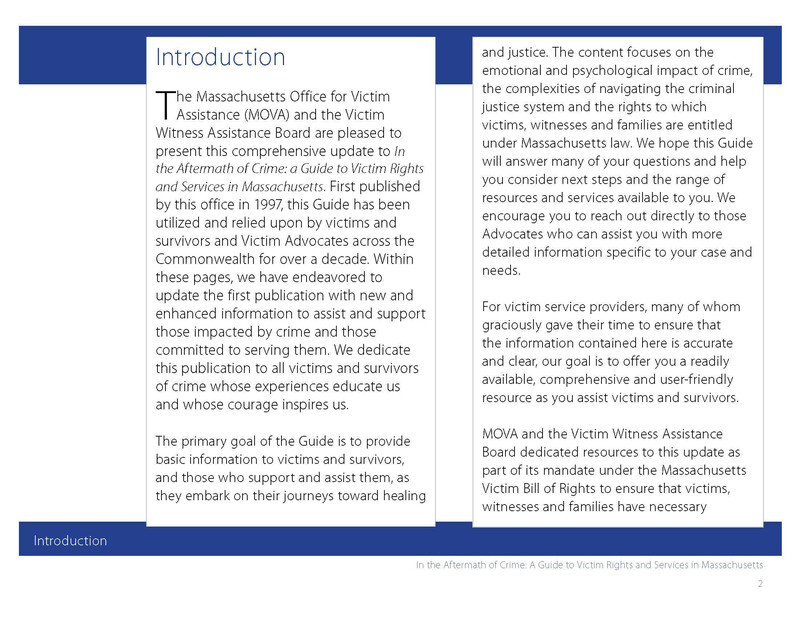 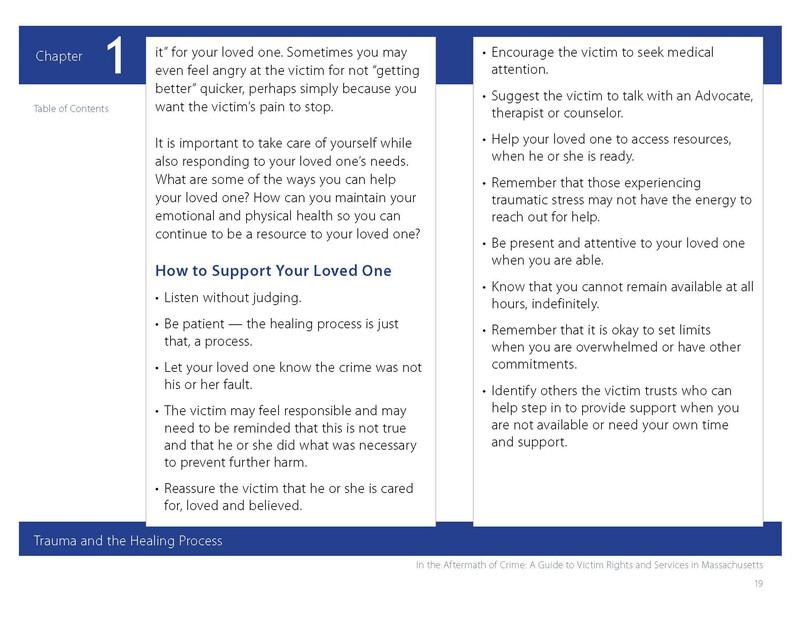 It was created for the Massachusetts Office for Victim Assistance as a downloadable resource. 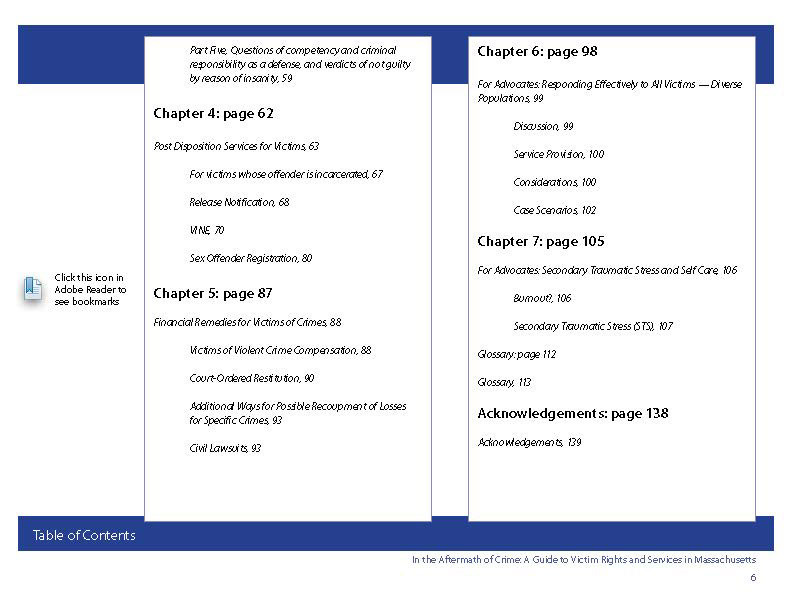 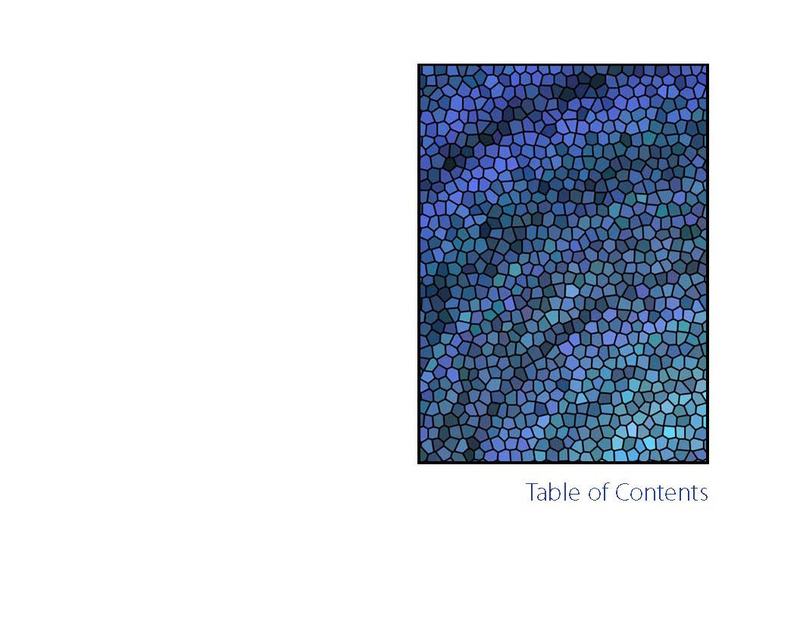 This is the first chapter, 20 pages of a 140 page interactive booket that is designed to be viewed on a monitor.